Amfisound custom made guitars and backing vocals! The day a relative of mine gave me my first guitar and I discovered that the magic sound on my favorite records could be made using those six strings. FAMC/Liquid Foot, Suhr, Hughes & Kettner. Washburn MB 5 Mercury Series bass and vocals! In 1997 when I heard Emperor “Anthems to the Welkin at Dusk” and I was grabbed by the root of my heart for the first time. It has have been a source of inspiration in my own work ever since. When I as a little brat got to borrow «Fear of the Dark» with Iron Maiden from my cousin. The day I got my first LP record. I was 6 years old and got “Final Countdown” with Europe as a Christmas present. Since then, I’ve always wanted to become a rock star! 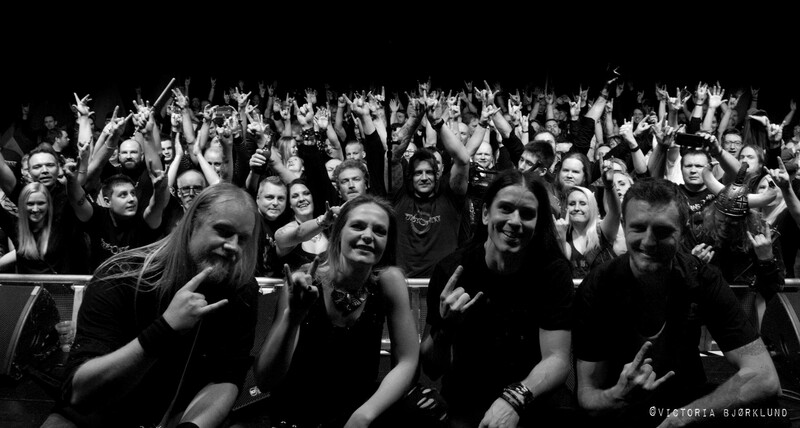 With their first two albums “Onwards” and “The Road Less Travelled”, the Norwegian metal band TRIOSPHERE attained a fantastic reputation worldwide. They shared the stage with bands such as Nightwish, Jorn, Arch Enemy and many others. Especially after their 2nd album “The Road Less Travelled”, which was released in May 2010, the band around vocalist/bass player Ida Haukland was busy touring Europe. 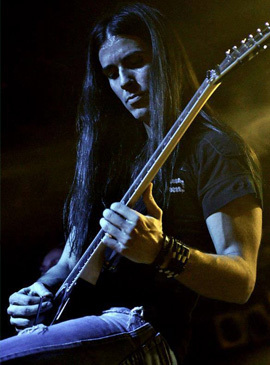 At first with Sonata Artica, then Crimson Glory, and later in 2012 with Kamelot. 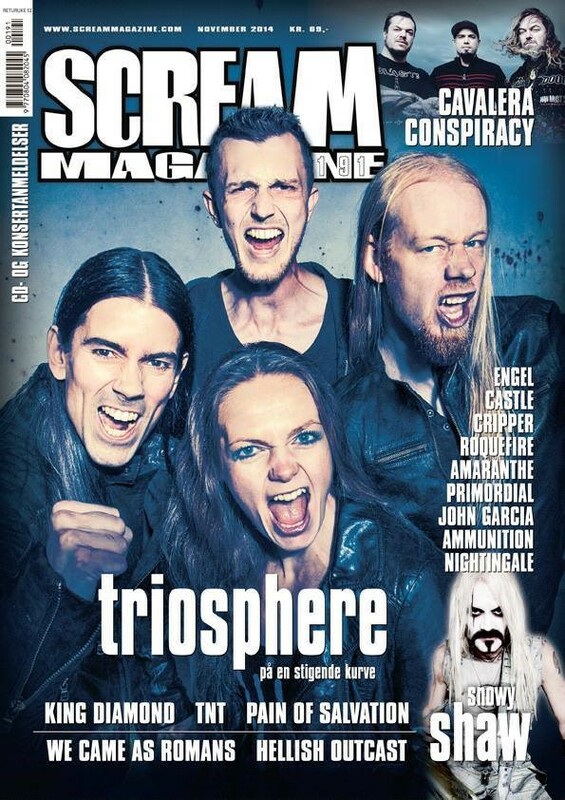 In November 2014 TRIOSPHERE were finally back with a brand new piece of work, titled “The Heart Of The Matter”, mixed and mastered by one of the best producers in the business, the acclaimed Jens Bogren (a. o. Opeth, Paradise Lost, Symphony X, Amon Amarth, Kreator) at Fascination Street studios, Sweden. 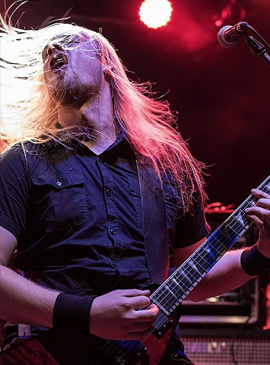 Even more confident, unique and improved, the band delivered a slice of high-class melodic metal music, uniquely honest and hard-hitting; from the most heavy to the most calm, from intricate to classic, all led by intelligent melodies and passionate lyrics about the heart of the matter. No compromise, no single frame of genre. Just pure heart. The album have placed the band on a high number of “album of the year” lists and received countless top scored reviews from all around the world. TRIOSPHERE was founded in 2004 by Marius Silver and Ida Haukland. They signed with a Norwegian label for the release of their debut album “Onwards” in Norway during fall of 2006. “Onwards” was released in the rest of Europe in February 2007 through Plastic Head distribution and also licensed for a release in Asia (November 2006) and the USA (late Summer/Fall 2007).“Onwards” received rave reviews, and the world’s largest independent music organization JPF’s award “Best Metal Album” at their annual JPF Awards in Nashville in 2009. In 2010, TRIOSPHERE signed with AFM Records, and their sophomore album “The Road Less Travelled” was released worldwide, again, to huge critical acclaim and a growing number of listeners. 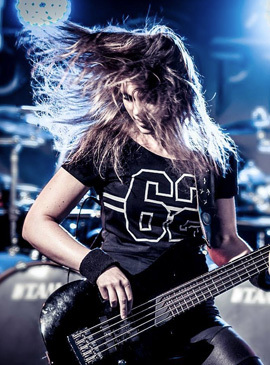 The band has steadily gained territory of fans accompanied with much praise for their qualities both as a live act and as song writers from a nearly unison press core.In late 2014 and early 2015 (respectively), front woman Ida Haukland was even featured in Metalholic’s Top 15 Female Hard Rock and Metal Bassists 2014 and Top 25 Women in Hard Rock and Metal 2014, along with well established musicians such as Sharon Den Adel (Within Temptation), Simone Simons (Epica), Alissa White-Gluz (Arch Enemy) and Cristian Scabbia (Lacuna Coil). 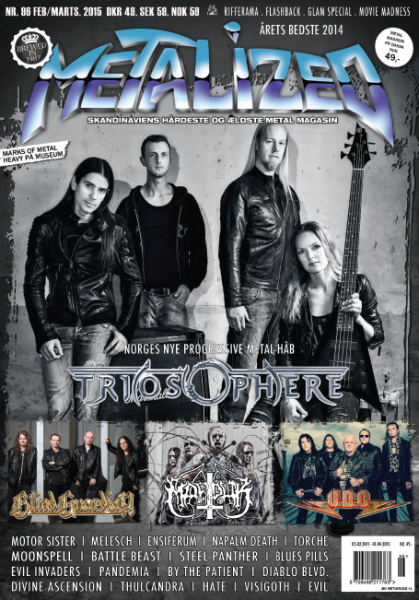 TRIOSPHERE have toured Europe 6 times with amongst others W.A.S.P., Kamelot, Sonata Arctica, Crimson Glory, Jorn and Kotipelto, played at Wacken Open Air, Metal Female Voices Fest, PPM Belgium ++ and a large number of concerts supporting artists like Dio, Nightwish, Arch Enemy and many others. With their new and highly critically acclaimed album, TRIOSPHERE’S goal is to tour and perform live more than ever. 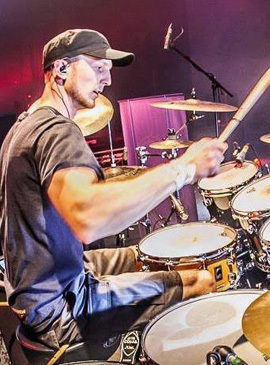 The band kicked off 2015 with performing in the Caribbean at 70000Tons of Metal – the world’s largest metal festival at sea, and throughout the rest of the year performed at several Norwegian rock festivals, and begun their first Norwegian tour as headliners. The first leg of the tour conlcuded in January 2016, and they will embark on the 2nd part in the fall. In 2016, Triosphere aim to again take their show out and beyond the Norwegian borders, and can’t wait to further present their new album live for the rest of the world.